My first JASNA AGM was utterly delightful! I was immersed in a surrealistic world of Austen appreciation just blocks away from Capitol Hill with elections a mere two weeks away. I was invited by JASNA to take part on an international panel along with representatives from JAS UK, Australia, Brazil and North America. It was a great opportunity, a privilege and an honor. 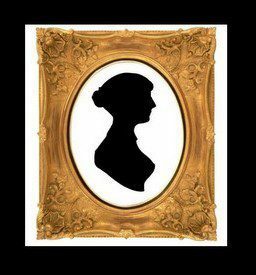 I was proud of putting our little literary community on the Austen map, so to speak. During the Q&A, I was asked about what kinds of people were interested in Austen in Pakistan. My answer—just like Janeites all over the world. No different. I was also asked about how we started and I explained that social media played a big part. There are over 1,100 members among JASP’s community on Facebook alone, from 45 countries (about 350 are from Pakistan) and 96% are women. I also thoroughly enjoyed other items on the agenda, attending presentations, talks, the Emporium, the theatre, exhibitions, a concert and a ball! Sense and Sensibility at the Folger Shakespeare Museum was a particular favorite (along with seeing Colin Firth’s Darcy shirt). Connections were made and lasting friendships forged. There were very few internationals and so a lot of people came up to speak to me, especially when I wore my ‘speaker’ identification card. Many people already knew who I was, a feat among this throng of 850 enthusiasts. Some others, when they met me, said they had either seen JASP on Facebook or were members! And yet others were surprised and amazed. Will she be dressed in a burqa? Does her government allow women to read books? After they met me, however, I doubt they had these questions! For one thing, I was for the most part dressed in Regency inspired garb. And for another, I was co-authoring a book, Austenistan. During the panel discussion, I incidentally mentioned that there were around 100 million Pakistani women around the world. And that it was no longer possible to pigeonhole 100 million women into limited categories. Laaleen Sukhera is the founder of the Jane Austen Society of Pakistan and is a professional advisor at the Jane Austen Literacy Foundation as well as Chair of JALF’s Pakistan Chapter. She graduated with an MSc in Professional Communications and a BA (High Honours) in Screen Studies and Communication & Culture at Clark University in Massachusetts. You are most welcome! I’m sure Jane is proud of you! She’s stylish, is she not? Thanks Rita and Cass! Kept the text short and simple. Loved trying on these Regency beauties at the Emporium all thanks to Matti’s Millinery & Costumers, The Ribbonry, Lydia Fast LG Studio and Dames a la Mode! I love hearing about this event. I would love to attend one year.